Payment can be made on the night, however If you would like to reserve a seat please contact Graham at gks.holism@yahoo.com or on 02108 116 215. 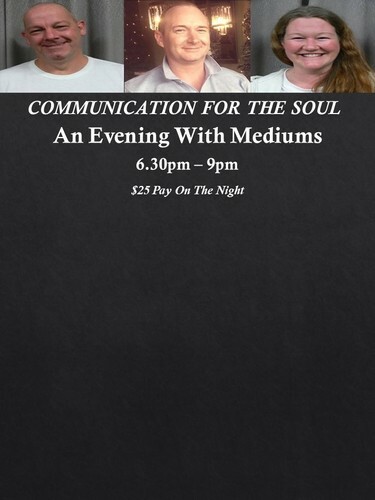 The mediums will deliver messages of love, guidance and support from spirit and all loved ones who reside there. A Question and Answer session on anything of a spiritual or Holistic nature, with all three mediums being available to give their own individual perspectives based on their unique experiences.